You probably know by now that I'm very into shoes. Gucci's mules and loafers have been something of an addiction for me this year, but the new autumn/winter 2016 season is a showcase for all sorts of seriously standout footwear across the board. Velvet is such a yummy fabric and it really comes into its own during the autumn and winter months. You'll find it in sandals, flats, boots, pumps… the works. The heel height on these help you last on the dance floor. 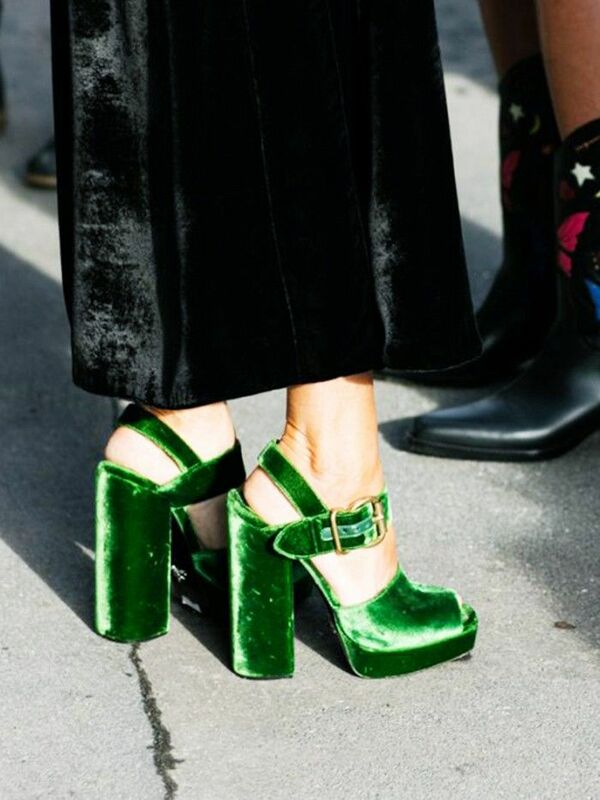 OTT ankle boots for a sartorial show-off. The most elegant way to wear flats. These could easily be from the '70s. Such a great flat statement shoe. I like these with little skirts and tights for a full-on mod look. This British brand can always be relied upon for classic creepers. Who says you have to go for black? For when you "have nothing to wear," pair these with anything and let them do the talking. And glitter? Now you're spoiling me. A more day-to-day route into the trend. You had to take a second look at them, right? 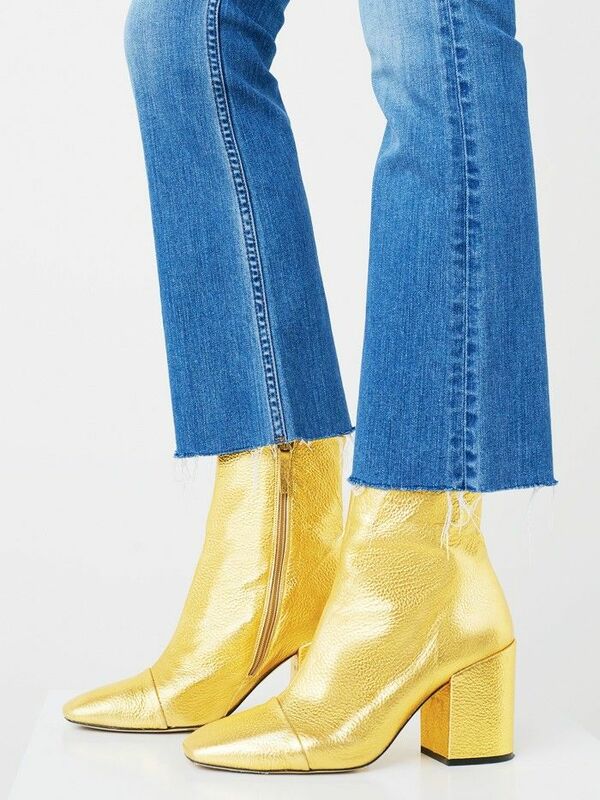 I’ve had my eye on these since Selena Gomez rocked them to this year's Met Ball. They look familiar and brand new all at the same time. I’ll be stomping around in them with dainty slip dresses and grungy hair. Of course Zara has this nailed. See the LV logo peeking out? These have gone wild on social media. 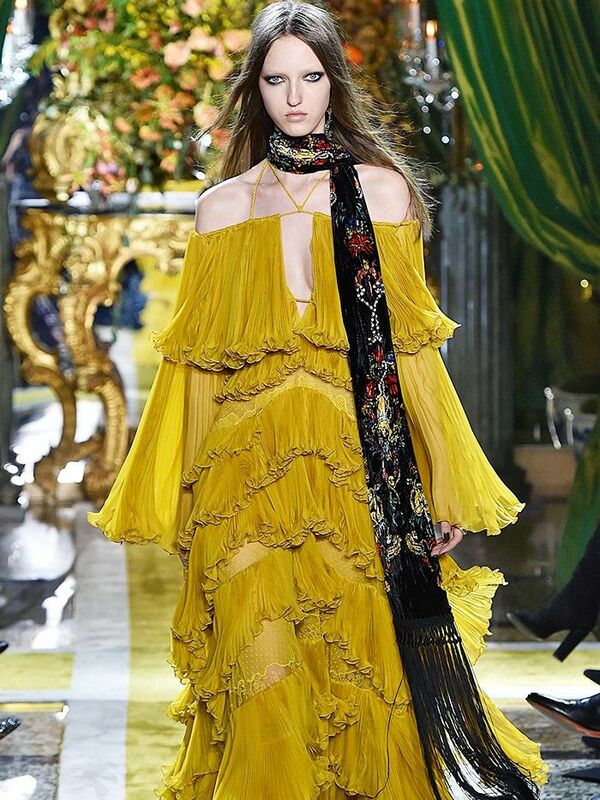 The more approachable version of the runway look. Mr. Kirkwood is a pearl pro. Yes, these also tick the velvet box. Once considered a passing fad and now available in more choices than ever! 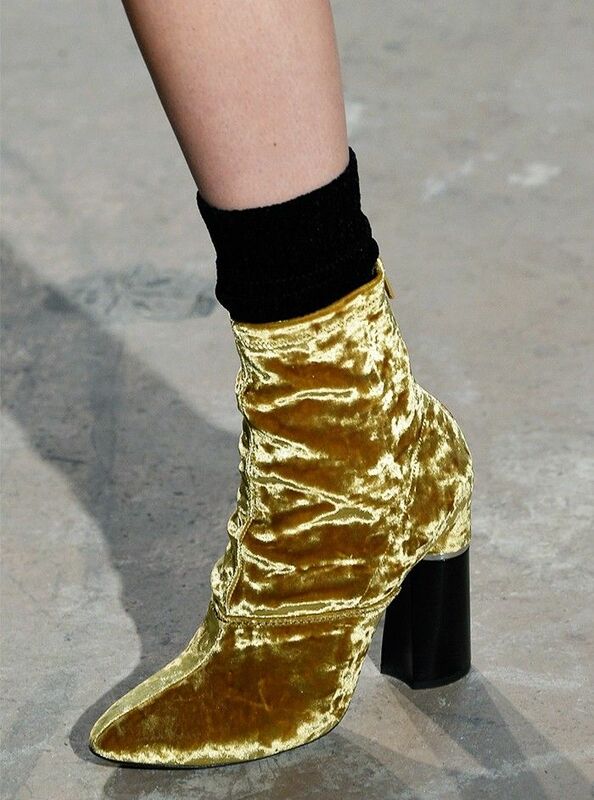 I’d love a pair in buttery soft suede and a dangerously light colour to up the luxe factor. A new way to double denim, perhaps? It's the style no one can get enough of. Head over to Ashley's fashion blog, Ring My Bell, for more of her style updates.